Can you have a healthy, energizing keto breakfast without eggs? Eggs are a staple on the ketogenic diet, with 5g of fat, 6g of protein, and less than 1g of carbs per egg. These nutritional powerhouses certainly deserve a place in your keto diet meal plan — especially if weight loss is your goal. But if you’re tired of eating eggs every day for breakfast, this roundup has you covered, with 21 quick and easy egg-free recipes you’ll love. Many of these recipes are just as filling, delicious, and easy to prepare as eggs and scrambles, so anyone can squeeze them into a busy schedule. 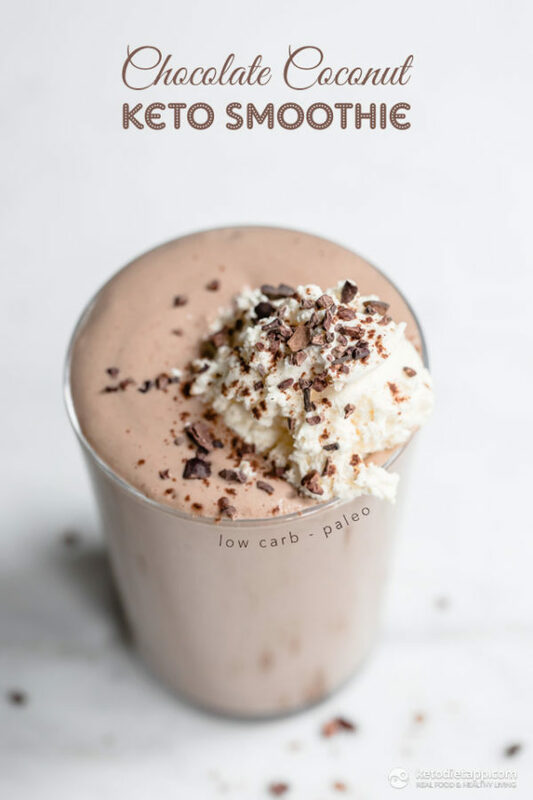 This first set of recipes for low-carb keto breakfast smoothies ticks all those boxes and then some. Smoothies are great for cramming a meal’s worth of nutrition into a portable drink you can take on your morning commute. They’re also versatile, so you can mix up a new flavor each day of the week without repeating recipes or getting bored. 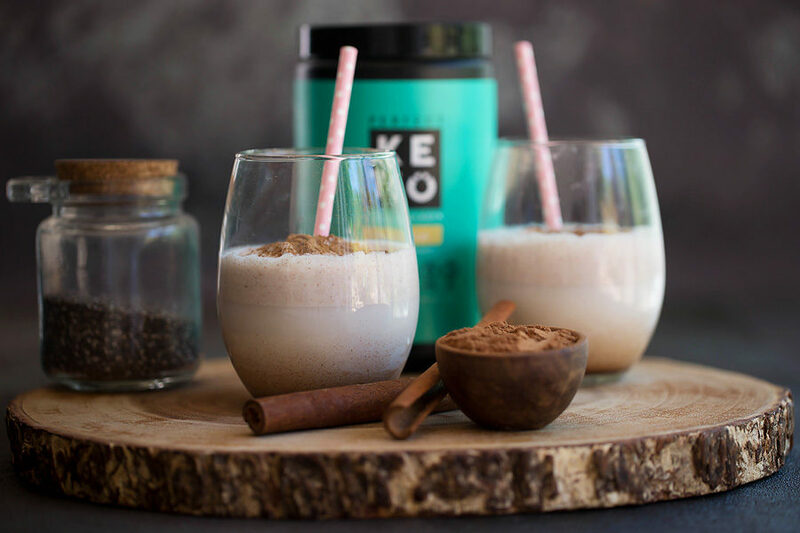 And with these first two keto smoothies, you can also sneak in micronutrients from fruits and low-sugar veggies without altering the taste or texture. 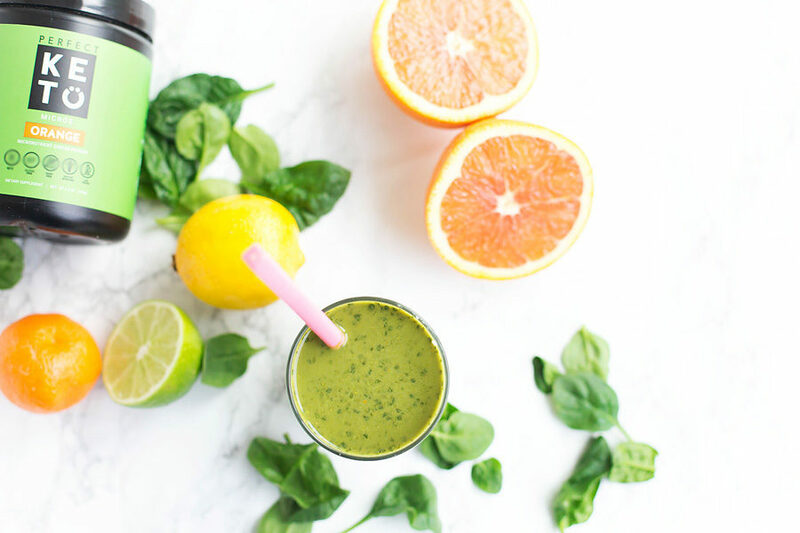 If you’re struggling to eat enough vegetables during the day, or you miss starting off your mornings with a fresh glass of orange juice, try this citrus keto green smoothie. It’s packed with spinach and a scoop of Perfect Keto Greens Powder — which offers nutrients from 26 different fruits and vegetables per scoop. Bursting with citrus flavors like orange, lemon, and lime, this energizing smoothie isn’t just flavorful — it’s also filling and won’t spike your blood sugar like orange juice does. Healthy fats from MCT oil will also help your body better absorb the fat-soluble vitamins and minerals in those fruits and veggies. Want another veggie smoothie option? Try this next one, packed with nutrients so you can meet your micronutrient needs, for the day. 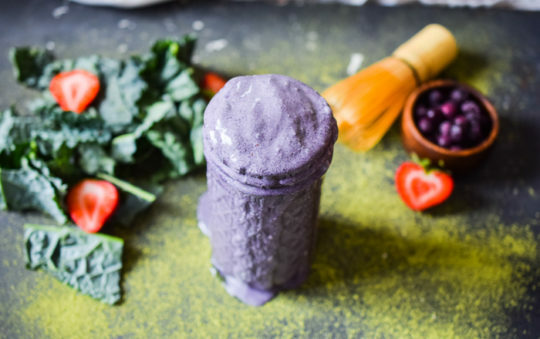 This brightly-hued micro greens matcha smoothie contains the same Greens Powder with MCT oil powder as the last recipe, but the flavor and nutritional profile are completely different thanks to a few swaps in the ingredient list. Instead of using spinach, this smoothie calls for kale, which is rich in antioxidants like vitamin C and beta carotene. It’s also anti-inflammatory and helps with your natural detoxification pathways. Blueberries replace the citrus flavors from the last smoothie recipe, so you have more than one option when it comes to getting your greens. Alternate between these two smoothies to keep breakfast interesting and give yourself a plan for well-rounded micronutrient intake. The next smoothie shares the same bright color as this one, but you’ll love the fruity-nutty flavors that mimic a peanut butter and jelly sandwich. Most acai bowls are anything but “safe” on a keto diet. Not only is the acai usually sweetened with sugar or honey in commercial smoothie bowls, they’re also topped with mounds of non-keto fruit and sweeteners like syrup. This makes them more of a sugar bomb than a healthy breakfast. Luckily, there’s a way to enjoy the same flavors of an acai bowl without sabotaging your keto diet efforts or eating a mound of sugar: this keto acai almond butter smoothie. In it, you’ll find unsweetened acai, collagen protein powder, avocado, MCT oil powder, and almond butter. And unlike a normal acai bowl, this one is only 6g of net carbs instead of 60g. You won’t find 43g of sugar in it either[*]. This combo of ingredients creates a filling smoothie that won’t cause a huge spike in your blood glucose levels or leave you with cravings an hour later. If you’re on-the-go, you can sip this smoothie from a cup. The next smoothie works as a smoothie or a smoothie bowl as well. 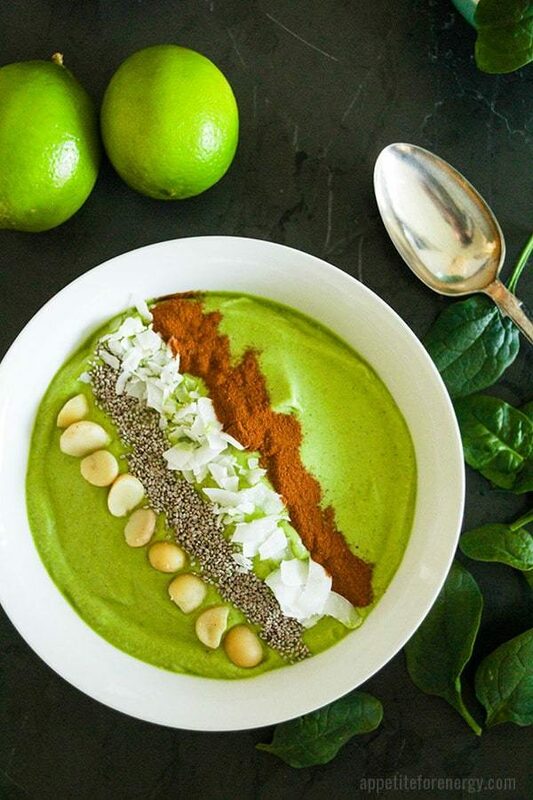 Even though this green keto smoothie bowl is just as bright as the last, it has an entirely different base and color thanks to a key ingredient switch. 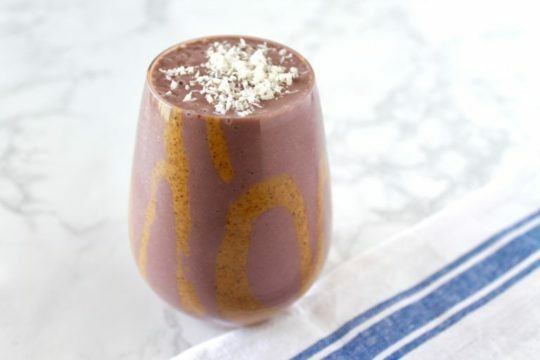 The purple acai puree is replaced with avocado and spinach — which give it that vibrant green color — and it’s topped with keto-friendly foods like macadamia nuts, chia seeds, ground cinnamon, and coconut shavings. While this one works better as a smoothie bowl, you can omit the toppings and drink it as a shake if you’re on the go. If you’re not that into starting your day with fruit, this next keto smoothie offers a warm combination of spice and sweet. Cinnamon takes center stage in this cinnamon dolce latte breakfast smoothie and it’s no wonder why. Besides bringing tasty flavors to the smoothie game, cinnamon is loaded with antioxidants like polyphenols, phenolic acid, and flavonoids, all of which help your body decrease free radical damage and protect your brain. Cinnamon can also improve insulin sensitivity and helps reduce blood glucose levels, total cholesterol, the “bad” LDL cholesterol, and triglycerides. This smoothie also has collagen protein powder and chia seeds, which will keep you feeling full and strong for hours. 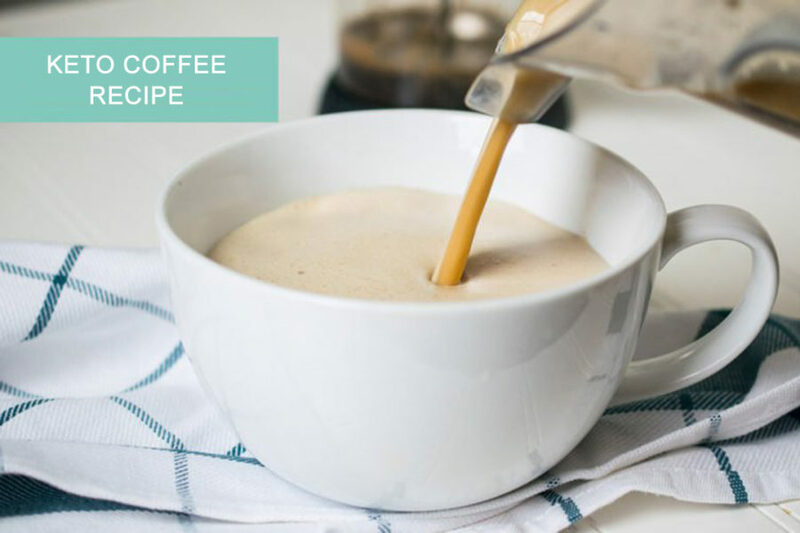 If you want to kickstart your day with protein and prefer the taste of a warm vanilla chai over coffee, this next keto recipe is for you. The spices in chai tea, like cinnamon, contain powerful polyphenols — antioxidants that protect your cells from damage and help with anti-aging. Ginger root also encourages healthy digestion and boosts immunity. Not bad for a breakfast smoothie. 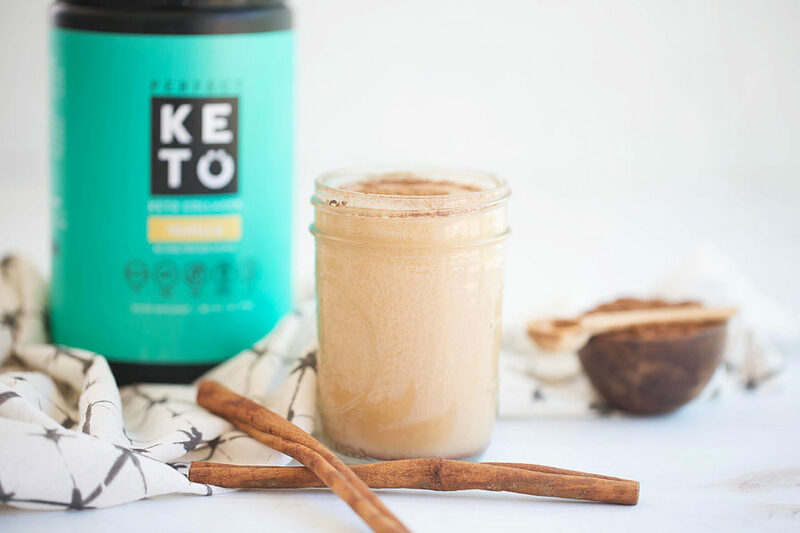 So if you’re looking to swap out your keto coffee, or you’re craving a nice chai latte without all the sugar and carbs, you owe it to yourself to try this vanilla chai protein shake. It will only cost you 190 calories and 1g of net carbs per cup for the 15g of fat and 11g of protein you’ll bank, making it much more satiating than a chai latte you’d find at a coffee shop. The next keto breakfast smoothie recipe is also on the decadent side — and it’s just as filling. Drinking a chocolate smoothie for breakfast usually isn’t a good idea. That’s because most chocolate breakfast shakes come with high-carbohydrate ingredients and sugar that will make you crash well before lunch. Instead, try this satiating keto version — packed with healthy, high-fat ingredients like avocado, coconut cream, chia seeds, MCT oil, and almond butter. And if you’re looking for ways to include your favorite breakfast staples without sabotaging your macros, this next set of low-carb breakfast recipes has you covered. Looking for keto breakfasts without eggs can lead to cravings for high-carb favorites like yogurt, oatmeal, and sweet cereal with milk. But these low-carb recipes make it easy to stick to your routine without ruining your chances of reaching (or staying in) ketosis. Most Americans are raised with cereal with ice-cold milk for breakfast. And when you went keto, you probably thought you’d have to give that up forever. 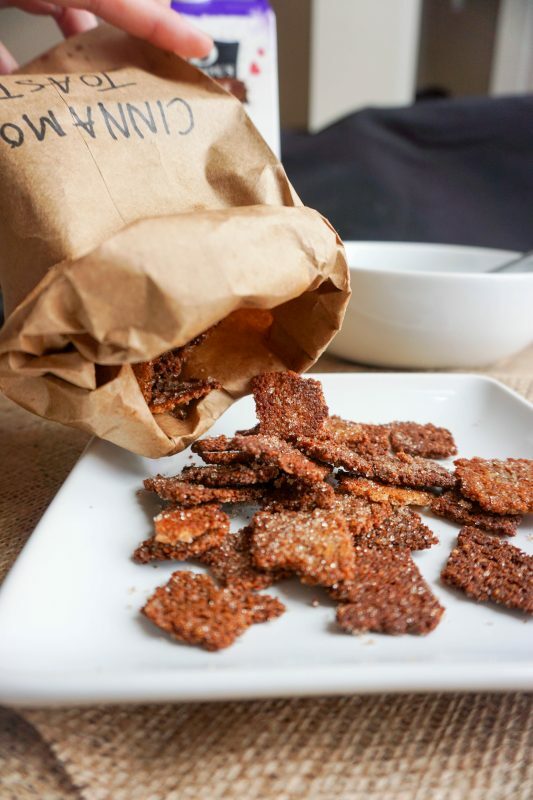 This keto Cinnamon Toast Crunch knock-off has everything: cinnamon, sweet, and crunch. It looks similar to the cereal you can’t have but cleverly uses pork rinds and liquid stevia to create the same crunch and sweetness (minus the carbs and sugar). Another unique option is this keto breakfast cereal in a jar recipe, which is similar to a chia pudding or overnight oats. It’s perfect for anyone who loves drinking leftover cereal milk. Keep in mind, when it comes to the milk you use for your keto cereal, reach for unsweetened coconut, almond, or hemp milk instead of regular milk to avoid the carbs that come with the latter. And if you’re craving a yogurt parfait over cereal, the next recipe is right up your alley. As enticing as store-bought yogurt parfaits look, most of them contain far too much sugar for anyone to consume in a day, let alone a single serving. 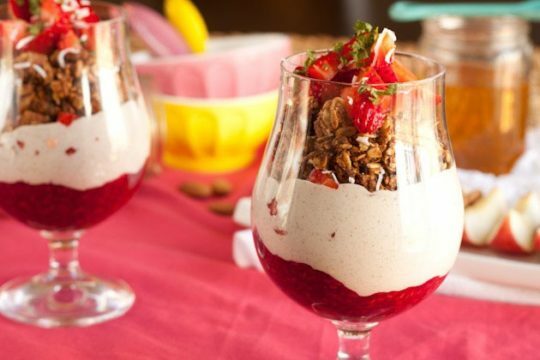 Avoid kicking yourself out of ketosis by whipping up a batch of these low-carb chia berry yogurt parfaits. 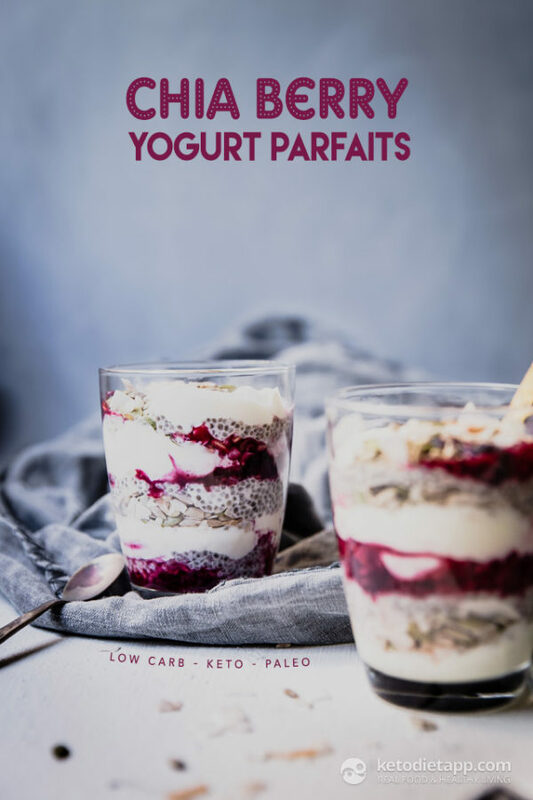 Even healthier and tastier than classic parfaits, these are an awesome option for a keto breakfast without eggs because of their high fiber content. You’ll stay full and satiated for hours. The next set of keto breakfast recipes are just as sweet and satisfying, but with an oatmeal-like texture. 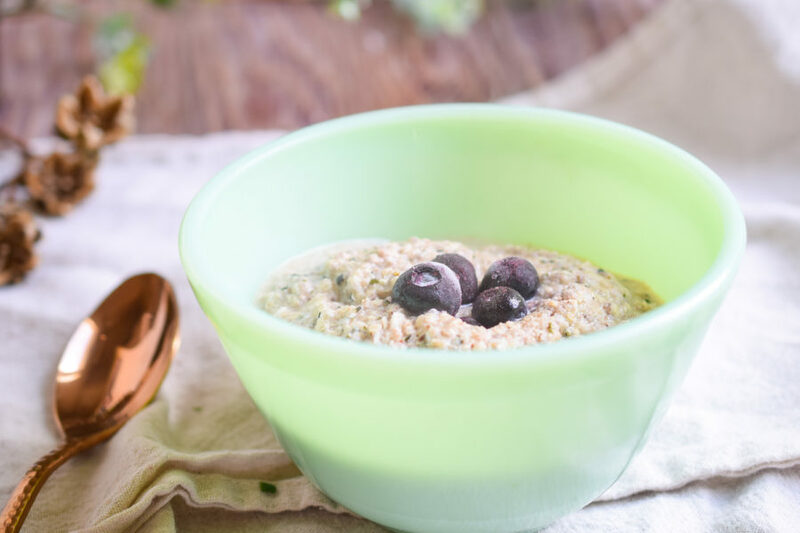 Oatmeal is one of those breakfast staples many people hate to leave behind simply because they don’t know how to find a keto-friendly replacement. Warm, creamy grits are another breakfast classic you might find it hard to break up with. And you won’t have to with this savory breakfast grits recipe from the Keto Diet App. 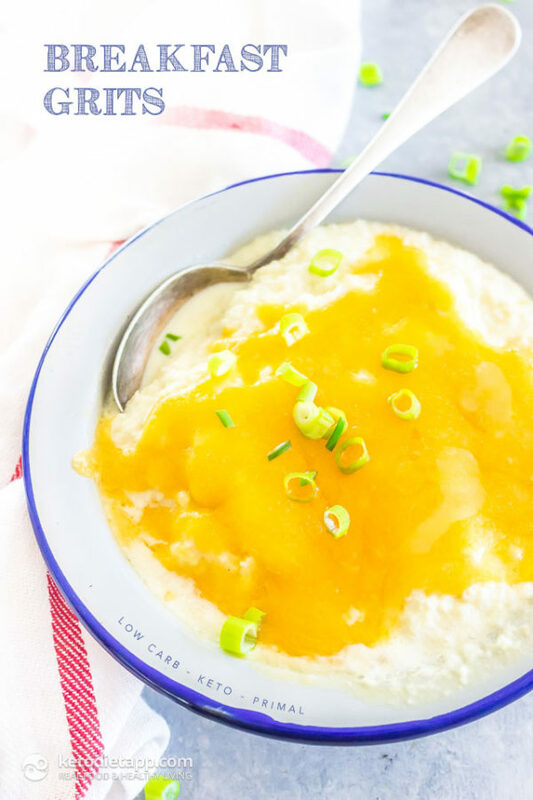 Thanks to this keto breakfast grits recipe from Keto Diet App, you can swap out your high-carb grits for these without sacrificing flavor or texture. The next batch of breakfast ideas caters to those looking for a breakfast bowl best enjoyed cold instead of warm like oatmeal or grits. Despite being marketed as healthy, most store-bought yogurts contain just as many carbs and sugars as a donut — if not more. Keto-approved yogurt does exist — you just have to look for full-fat yogurts without much added sugar or flavorings at the grocery store. Another option that’s easier than you may think is making your own homemade coconut yogurt. Follow that recipe and then top your homemade yogurt with fresh berries or crunchy “Cinnamon Toast” keto granola for a cool treat filling enough for breakfast. Chia puddings are more and more popular in the health and wellness community. They’re rich in fiber, nutrients, and they’re creamy and filling. Try these keto puddings for a nutrient-dense breakfast option that won’t weigh you down. If you’re new to keto and still craving sweet breakfast options, it’s best to get as much protein as possible to help curb your cravings — especially in the morning. 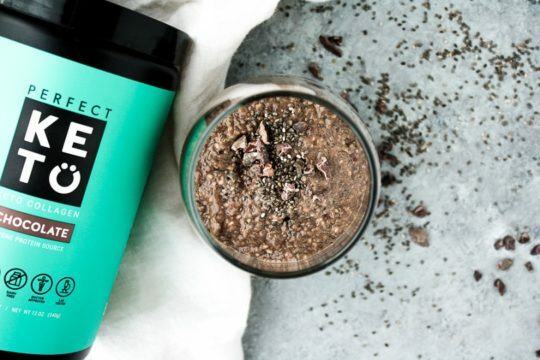 This chocolate keto chia pudding recipe, which is packed with both chia seeds and chocolate collagen protein contains a whopping 18 grams of protein — more than enough to get you through your morning. This three-ingredient keto mocha chia pudding is another tasty option if you prefer a hint of coffee in your breakfast pudding. The next egg-free keto breakfast option works well in the morning or any other time of the day. You don’t have to miss out on delicious breakfast trends just because you’re in ketosis. This avocado toast is packed with healthy monounsaturated fats from avocado and omega-3 fatty acids from wild-caught smoked salmon. 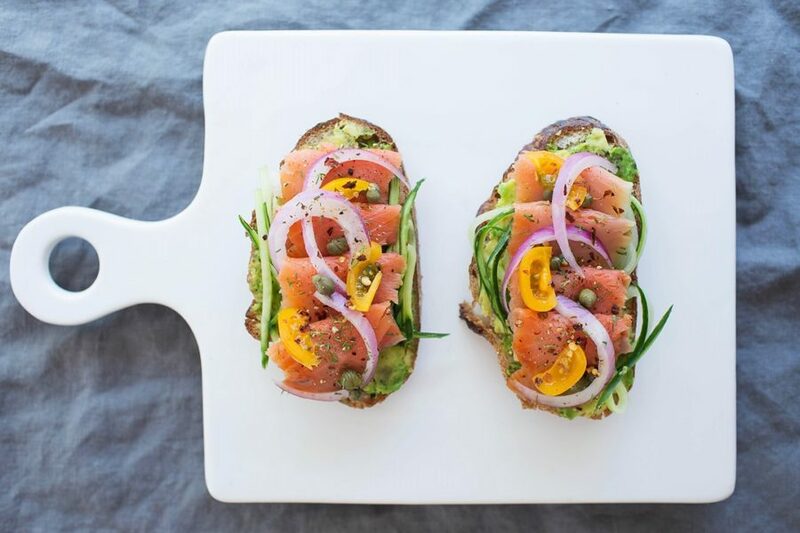 And because it called for this low-carb keto bread as your toast base, you can have this refreshing smoked salmon avocado toast all the time. Stacked with avocado, cucumber, smoked salmon, red onion, and spices like red pepper flakes, salt, pepper, and fresh dill, this impressive recipe takes less than 10 minutes to put together and banishes AM hunger with a ton of healthy fats. The next set of keto breakfasts without eggs require a bit more effort than this salmon avocado toast — but the results and multiple servings are well worth it. Do your busy mornings make it impossible to squeeze in a healthy breakfast? Try meal prepping breakfast ahead of time and you’ll have servings to grab throughout your hectic workweek. Though convenient, most granola bars are just sugar and carbs to disguised as a healthy breakfast. Instead of store-bought bars, bake a batch of these keto coconut chia bars and you’ll have a portable choice for breakfast the whole family will love. 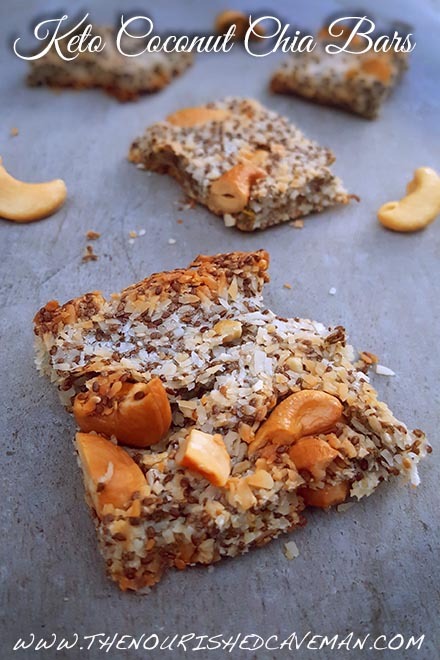 These keto breakfast bars boast healthy fats from chia seeds, coconut oil, shredded coconut, and cashews — all of which help you power your day. You can also customize this keto breakfast recipe based on what you and your family like, such as using macadamia nuts or stevia-sweetened chocolate chips. No time to bake? Be careful of store-bought bars — even the “low-carb” ones. Instead, try this keto-friendly Almond Butter Brownie bar, which is stevia-sweetened and won’t spike your blood sugar. You can take this next breakfast on-the-go, or have it in bed while you casually sip your coffee or tea. 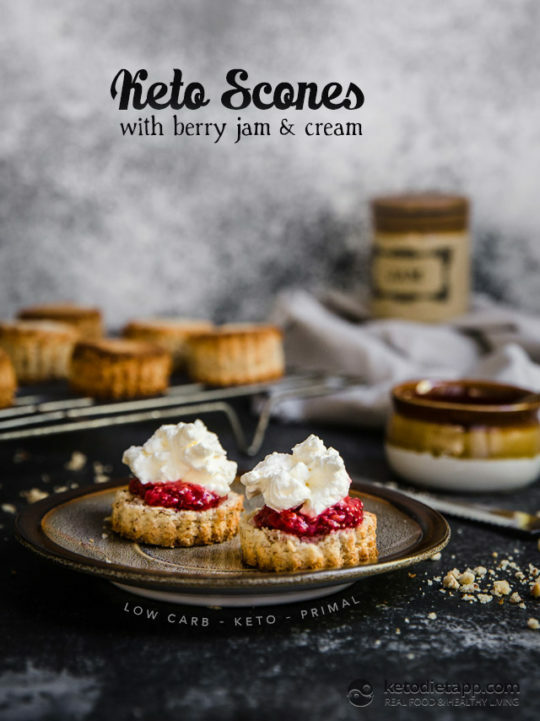 If you’re meal planning for the week, consider adding these keto scones with berry jam and cream to your list. Using a base of almond and coconut flour — both low-carb and gluten-free — these scones have all the flavor of traditional scones, but come out more like a fluffy muffin in texture. Top with sugar-free berry jam and whipped cream for a decadent breakfast or snack that won’t kick you out of ketosis. For an even easier option, check out this egg-free breakfast bake. As your sugar cravings start to diminish on a keto diet, you might find yourself craving more savory meals in the morning. That’s where this egg-free sausage and pepper combo comes in. Start your day with a hearty meal and cook it ahead of time — casserole style — so you can enjoy it throughout the week. 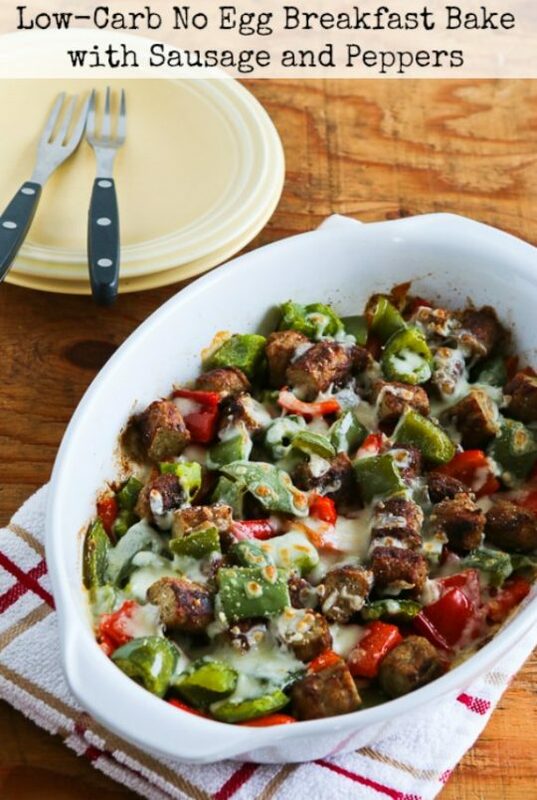 Not only will this recipe save time during your busy mornings, you can also tweak it to include more seasonal veggies, different flavors of sausage, and whatever cheese you have on hand. Always ask your butcher what’s in the sausage you’re buying (or check the ingredients label and nutrition facts) to make sure it’s free from hidden carbs and questionable fillers which may kick you out of keto. For another sweet breakfast option that won’t mess with your blood sugar, check out this next breakfast recipe. 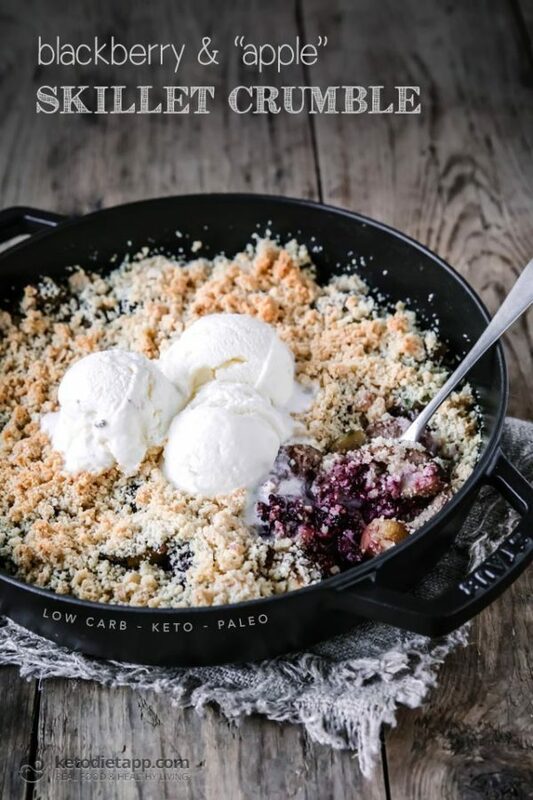 This blackberry and “apple” skillet crumble is a deceiving recipe that only looks like you’re having a cheat meal for breakfast. Here’s the secret: shredded zucchini. Thanks to their neutral flavor, zucchini offers micronutrients and fiber that hide perfectly within this sweet treat. With frozen blackberries and spices like cinnamon and nutmeg helping to disguise the hidden veggie, you’ll fool all the picky eaters at your breakfast table. But what if you just don’t like eating breakfast when you wake up? If food first thing in the morning doesn’t appeal to you, but you’d still like the energy boost of a keto breakfast, these last three options may be a better fit for you. Many keto dieters find they aren’t hungry in the morning when they’re finally in ketosis. And others who practice intermittent fasting also typically opt out of breakfast and start their eating window later in the afternoon. But if you’re hungry in the morning on your journey to ketosis, or you need to wake up your brain for a big presentation, always lean on healthy fats. For a lighter breakfast option that gives you just as much fuel as consuming a full meal, try this boosted coffee recipe jam-packed with MCT oil. So while this looks like your average cup of coffee, it’s anything but. 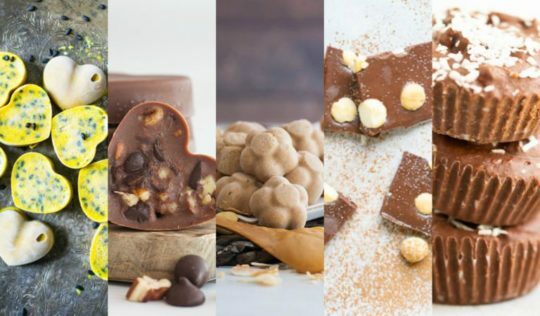 Fat bombs, the next breakfast option on this list, also pack a healthy dose of fat, without the full plate of food. Fat bombs are a convenient way to get a burst of energy and mental clarity in the morning or in between meals. One or two fat bombs in the morning will set you right for hours thanks to high-fat ingredients like coconut oil, cream cheese, grass-fed butter, and almond butter. And if you don’t have room in your schedule to make a batch of fat bombs, the last breakfast option can be a lifesaver. 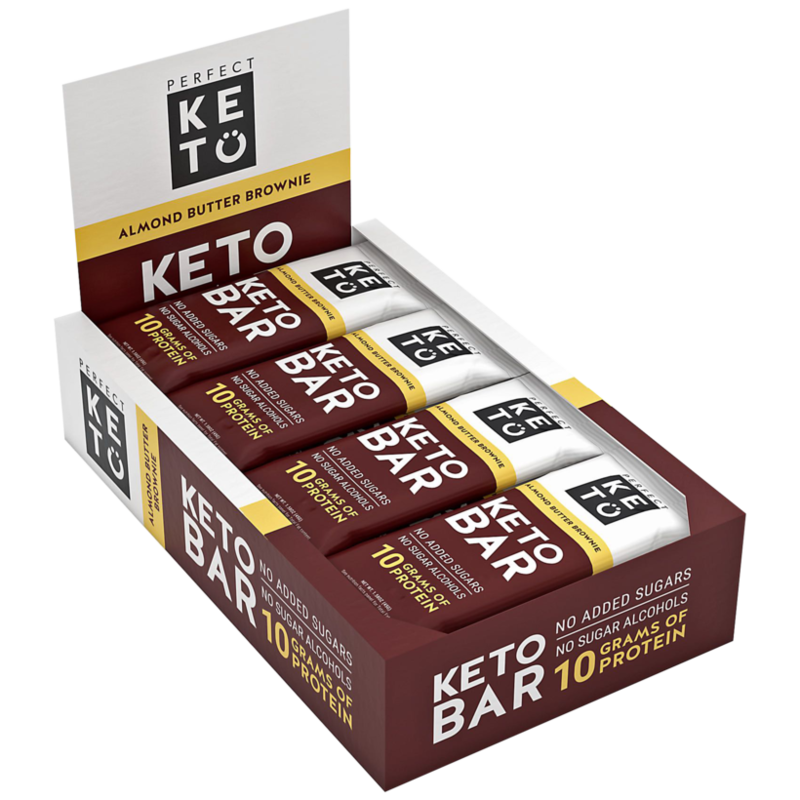 If you’re looking for a grab-and-go keto-friendly breakfast option you can take as you head out the door, these delicious keto bars give you 19g of fat and 10g of protein per bar. Those keto macros come from real ingredients like organic almond butter, grass-fed collagen, organic almonds, cocoa, and coconut oil instead of cheap fillers and chemical additives. Unwrap one for breakfast or any other time you need a filling snack to tide you over. 21 Keto Breakfasts Without Eggs: Which Ones Will You Make? Feel free to take a break from eggs for breakfast anytime you want — without loading up on carbs or getting out of ketosis. By sticking to these 21 keto-friendly recipes, you’ll add variety to your keto meal plan and a dose of healthy nutrition to make reaching or maintaining ketosis much easier. Don’t forget to bookmark this page so you can always refer back to these recipes when you need a keto breakfast without eggs. Which recipe do you think you’ll try first? We’d love to hear about it in the comments or in our private Facebook group.